From the author of the NEW YORK TIMES best-selling books The Seven Pillars of Health and I Can Do This Diet, along with best sellers Toxic Relief, the Bible Cure series, Living in Divine Health, Deadly Emotions, Stress Less, and What Would Jesus Eat? Dr. Don Colbert has sold more than TEN MILLION books. 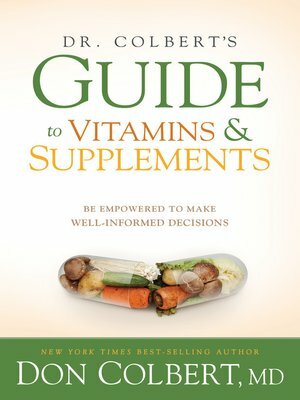 Dr. Colbert's unique, balanced, natural health approach will help readers to make sense of the overwhelming information available on vitamins and supplements, empowering them to make well informed decisions specific to their health goals.